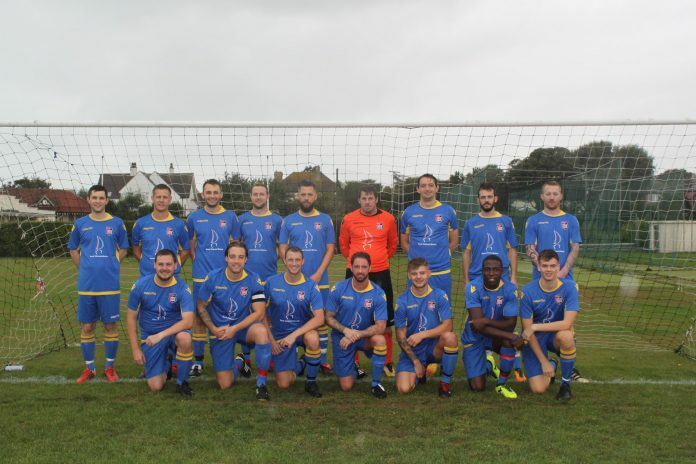 Rye Town kicked off the New Year with an away fixture on Saturday, January 5 against Bexhill AAC in the East Sussex Premier League. Following a goalless first half, Town’s first goal of 2019 came in the 55th minute with a strike from Rob Levett. Bexhill AAC responded and drew level in the 74th minute. However, Rye Town were the side that needed and desired a positive start to the year, and it showed with a brace from Oliver Skinner in the 81st and 90th minutes respectively, ensuring Town travelled back home with a 3-1 victory and a welcome three league points. 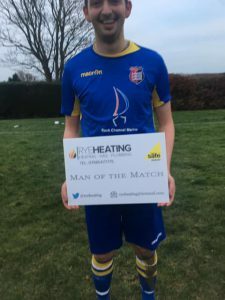 Rye Town Rye Heating’s man of the match went to SJ Henham “Tekkers”; the match sponsors were R&J Cooper Pallets. Next up on Saturday, January 19, the holders travel away to Northiam in the quarter final of ESFL Premier Travel Chauffeurs Challenge Cup, kick off is at 1:30pm. The match will be sponsored by The Queens Head, Rye. The next home game at the Rye Rugby Club ground will be on February 2 against Bexhill Utd II in the quarter final of the Robertsbridge Intermediate Cup, kick off at 1:30pm, the match sponsors are The Mermaid Inn, Rye.